Two giveaways on my blog, one ends Sat. Hi Folks, Just to let you know that K. Dawn Byrd’s giveaway for an ebook copy of Mistaken Identity ends this Sat. July 2. You really want to read this wonderful book by Ms. Byrd. You will be very glad you did! Go HERE to sign up! And Just started today, Laura Hilton is giving away a copy of Patchwork Dreams, another must read, in my opinion! Go HERE to sign up for Laura’s book. I love these books, they are awesome! 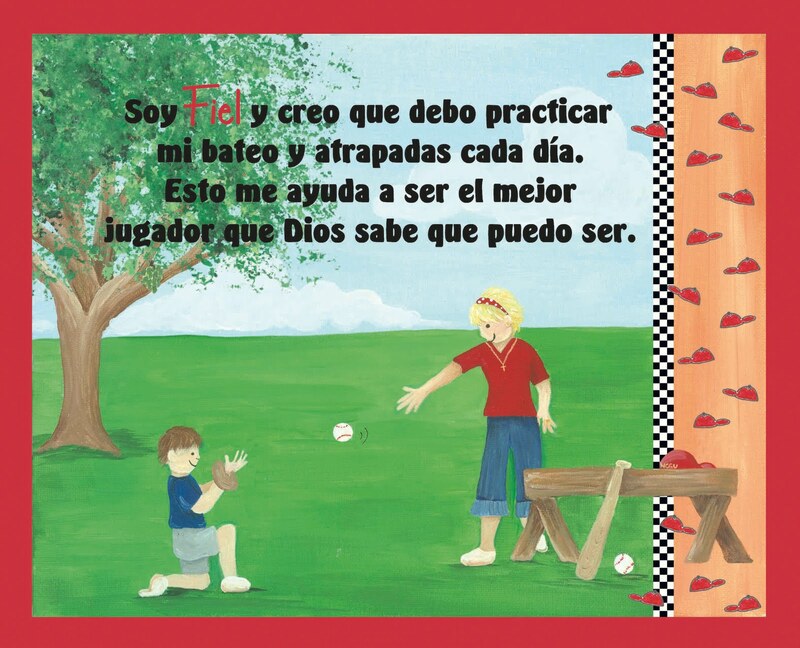 Each one teaches Love, Joy, Peace, Patience, Kindness, Goodness and Self-Control using Football and Baseball language, adding verses to each. 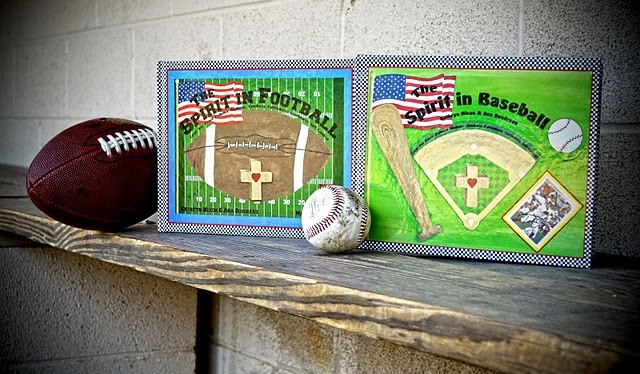 They each have pictures to go with the sport, Football or Baseball. The book is adorable. I love the pictures, they make the book and the story come alive. 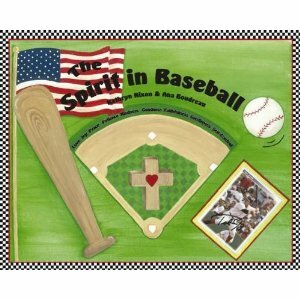 This is a great way to teach children the Fruits of the Spirit, because they will relate to the sports and be more excited about the study. I would encourage any Children’s Director or Children’s Minister to check these books out for your boys. This attractive book will be something they will want to keep and read again and again! 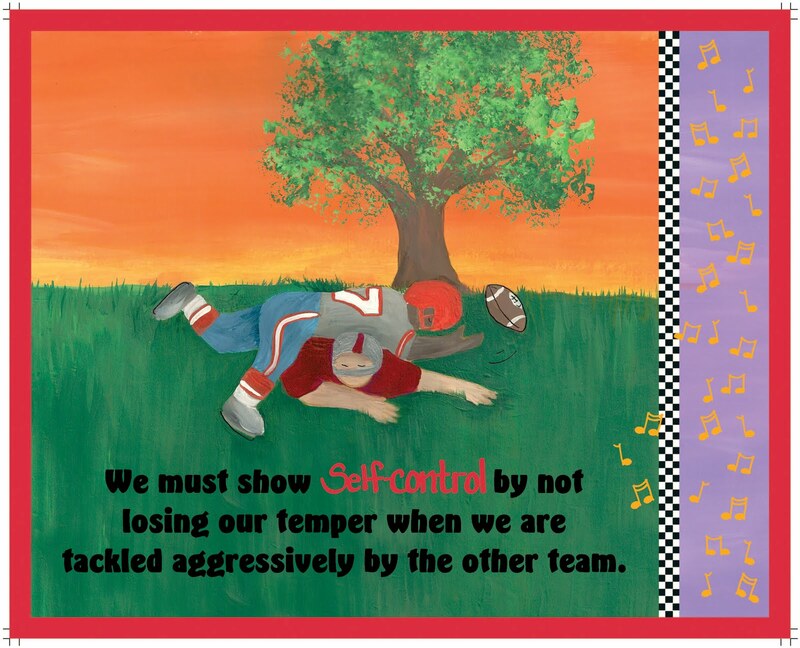 Visit the author and illustrator’s website. can come back here to see who won! Hey Laura, it’s great to have you on my blog today. Thank you so much for being here. Tell us a bit about yourself. Thanks for having me, Joy. It’s a pleasure to be here. A little about me… I’ve been married for twenty-five years to the same man, we have five children, the oldest one is 20 and the youngest is six. 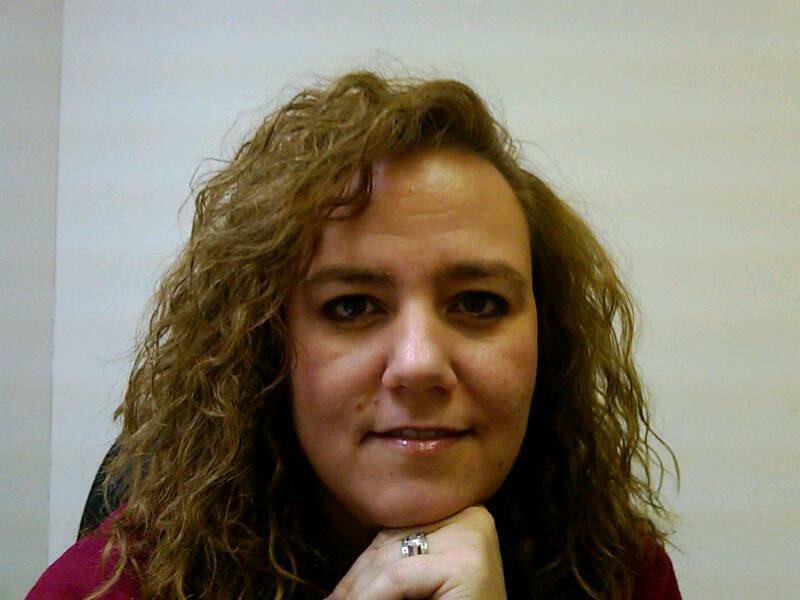 I am a pastor’s wife, a homeschool mom, and a book reviewer. Oh, and we have a Siberian Husky who thinks he’s human. Sounds like you have a busy life Laura. We are so blessed that you take the time out of your busy life to write these wonderful Amish books for us to read. Forever, I think. I remember writing stories in kindergarten – but in third grade the “bug” bit me. We were assigned a short story and my story wasn’t so short. I had some poems published in sixth grade and in high school. Now, I don’t know if I could write a poem anymore. How awesome to be writing in the 3rd grade. I don’t think I could have written anything at that age. You just gotta have the talent. The writing part. I don’t plot my stories out, I just write and see where the story goes. It’s a discovery for me as I find out things about my characters – and I love it when I get to the end and the theme comes out and I realize that my characters knew it all along. This is the part that goes over my head! I think it is awesome for you Laura to be able to just start writing and end up with a wonderful story. Jeremiah 29:11. For I know the plans I have for you, says the Lord. Plans for good and not for evil. Plans to give you a future and a hope. That is one of mine too Laura, what an awesome promise from our Lord! Oh, it seems there’s a lot of things. I’m a breast cancer survivor. 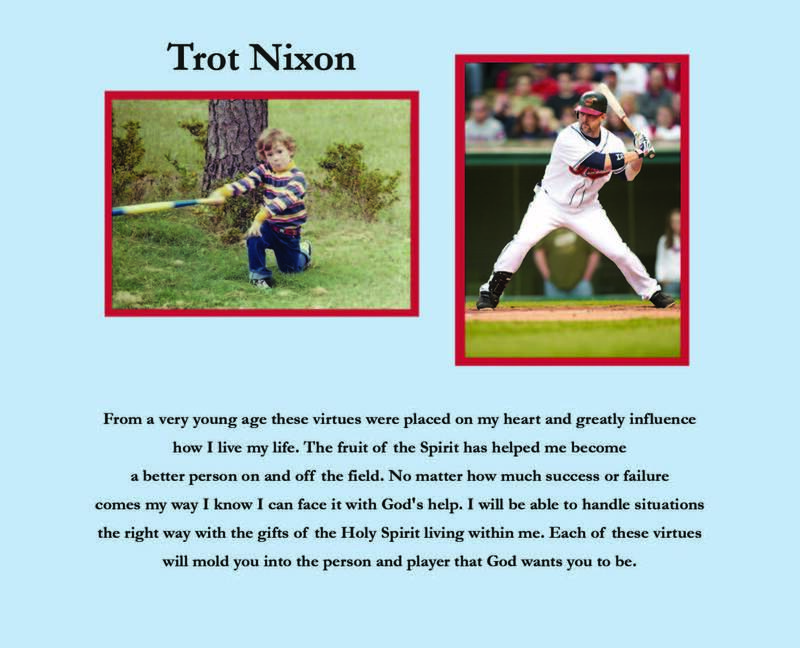 I went through chemo and radiation, the whole 9 yards, and with God’s grace flew through it. My Doctor told me that I was on the most aggressive treatment possible and he couldn’t believe how well I did on it. Of course, I had a three year old then… who has time to be sick? I once stood up to a country music star – I was a waitress and this star kept opening the window in the restaurant. The air conditioning was on, and my boss yelled at me because he kept opening the window. So—I hate being yelled at for things I didn’t do. It overcame shyness in a hurry. I marched out there and yelled at him for opening the window. He stood up and said “Do you know who I am?” and I said “No. Am I supposed to?” But for whatever reason he decided he liked me and left me the hugest tip – and he asked for me when he came back. I love, love, love the beach and lighthouses. What a blessing to be a breast cancer survivor. You ladies are always special to me because my mom was a breast cancer survivor and now so is my sister. And….lol how funny about the country music star! I guess you told him how important he really was! But I am glad he didn’t get upset at you, and at least give you a decent tip! And I’m with you Laura on the beach, wish I lived there all year! 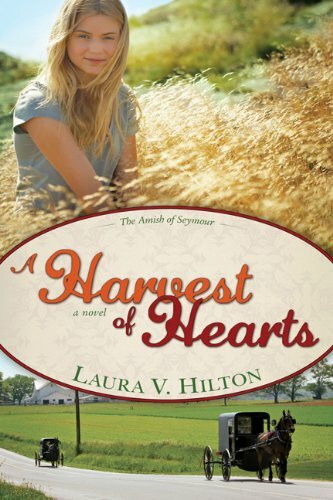 A Harvest of Hearts will be out in September 2011. It is the story of Jacob’s best friend, Matthew Yoder, (who was alos in the man swap) and Shanna Stoltzfus, an Amish girl who ran away from home to go to nursing school. And I can tell everyone it is even better thank Patchwork Dreams, if you can get any better! I love the warm family feeling of reading an Amish fiction. And I for one can’t wait until I can read about Joshua and Annie. I love series because you get to know the characters much better. Thank you Laura, and bloggers I would encourage you to go by and check out Laura’s blog and like her on facebook so you can keep up with her new books. Let me ask your readers a question. Would you like to be a part of an arranged swap (of adults, between states)? Why or why not? And for my answer, I would say YES…that is if I was young, not attached to anyone. I think it would be fun to see how someone else lives. It could or could not be better than the life you have. I think I would want the option to move back if I didn’t like it. Something like a trial period thing. Ok bloggers…its your turn, leave an answer this questions to enter for a copy of Laura’s book Patchwork Dreams. 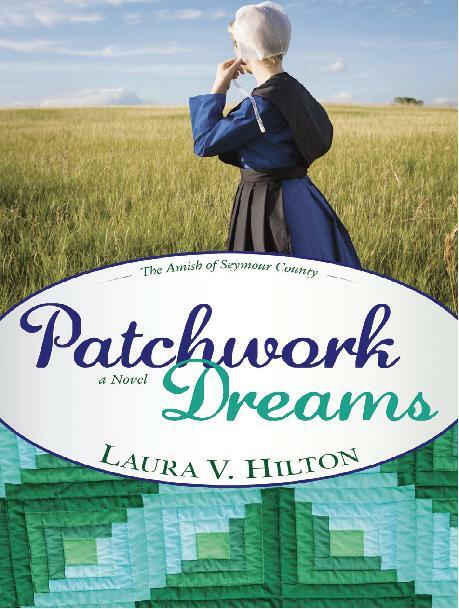 And I wanted to save this one until last, Tell us a bit about Patchwork Dreams and what Inspired you to write this wonderful Amish Fiction. 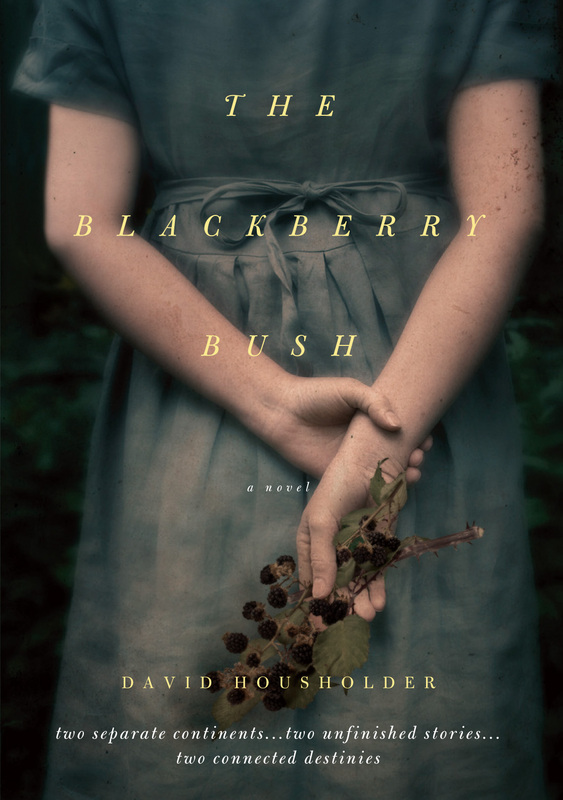 Well, my agent suggested I try an Amish fiction, and since I love reading it, and since I have Pennsylvania Amish in my ancestors, I thought I’d give it a try. I got the idea from reading another story about a man who was sent away to a community to get him away from his first love—but he returned home to her—And it was written in his first love’s point of view. Suffering without him… I thought what if… What if the man stayed? What if he fell in love? And I prayed about it, and it came from there. I set the story in Seymour, Missouri because my husband has a non-Amish aunt there, and the town is only two hours away from me. I could run over there for research any time I wanted. For me, Amish is wonderful for you, I love your first two books in this series and I just know the next one will be awesome too. Thank you Laura for sharing that with us. And thank you again for being with us today. Blessings to you with your writing, and we especially thank you for the biblical content of your books. Anyone can read your books and clearly know what it means to accept the Lord as their Savior. Thank you for honoring Him. Ok bloggers, Answer Laura’s question for a chance to win her book. And don’t forget to go by and leave Laura a message on one of her sites. Is the gratitude that flows out of your life as abundant as the grace that flows into your life? This question is on the back of this book, and it so rightfully sums up this book. Nancy DeMoss looks at what it means to be a grateful person and why it matters much deeper than we usually think about gratefulness. Choosing Gratitude takes being grateful and thankful to a whole new level. As with all of Nancy Demoss’s books, this one gets right to the heart of the subject in the very beginning. There is so much chunked in this book I needed to read it slow, and go over the pages more than once to get the impact of what Nancy was teaching. One of the many precious topics to me was reading when and where we can be thankful. And as she points out it is anytime, morning and evening, three times a day, in the middle of the night and continually. And at the end of the section she writes: “So gratitude should be an every moment, every hour, every day, lifetime commitment. Will we ever run out of things to be thankful for? Not a chance……………. Wow, that gives me something to think about. And as a bonus with this book, you get a 30 day devotion in the back of the book that you can read anytime during the year. 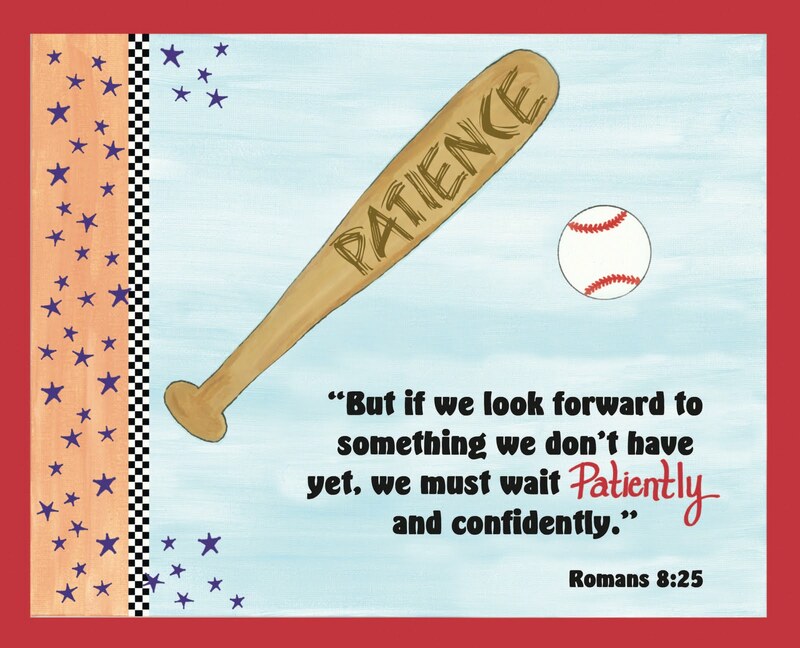 I love Nancy Leigh Demoss’s books and teachings. And this book was just as awesome as her others that I have read. To me, she can say more in one chapter than many can say in an entire book. Her love for the Lord and commitment to following Him is very evident in her writings and teachings. I have been blessed to hear her teach in person, and her live teachings are covered in the love of God and His Word just as her books are. This is a book that I recommend for all ladies for personal reading and studying or Bible Study groups. Just remember to have your notebooks and pens ready to take notes as you read and study, and enjoying what Nancy has to teach you! I want to thank Moody Publishers for providing this book for me to read and review. The opinions in this review are mine only. Nancy Leigh DeMoss grew up in a family deeply committed to Christ and to the mission of world evangelization. At an early age, she surrendered her life to Christ and to His call to fulltime service. 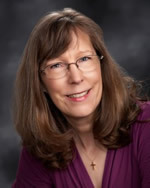 Nancy graduated from the University of Southern California with a degree in piano performance and went on to serve as the Primary Children’s Ministries Director in a large local church. 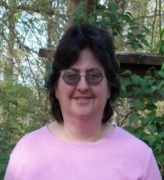 Since 1980, she has served on the staff of Life Action Ministries, a revival ministry based in Buchanan, Michigan. 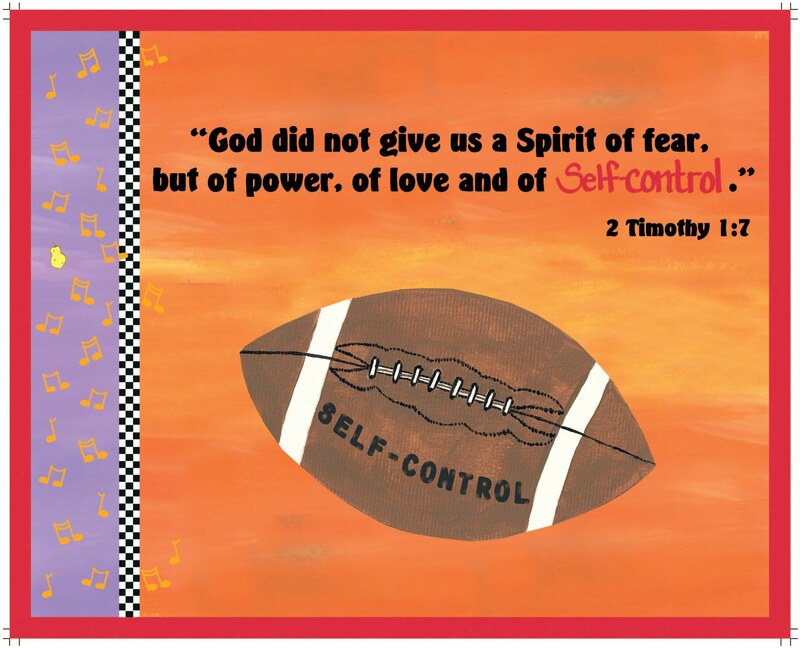 Until 2001, she served as the Director of Women’s Ministries and as the editor of Spirit of Revival magazine. Today, Nancy mentors millions of women through Revive Our Hearts (an outreach of Life Action Ministries) and the True Woman Movement, calling them to heart revival and biblical womanhood. Her love for the Word and the Lord Jesus are infectious, and permeate her online outreaches, conference messages, books, and two daily nationally syndicated radio programs—Revive Our Hearts and Seeking Him with Nancy Leigh DeMoss. Her books have sold more than 2,000,000 copies, and include Lies Women Believe, Choosing Forgiveness, A Place of Quiet Rest, A Thirty Day Walk with God in the Psalms, Brokenness: The Heart God Revives, Surrender: The Heart God Controls, and Holiness: The Heart God Purifies. 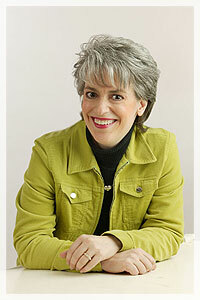 She also co-authored Seeking Him and Lies Young Women Believe, and is the general editor of Becoming God’s True Woman. But on the day Judith suspects Levi will ask her parent’s permission, her younger brother Samuel has an accident under her charge. 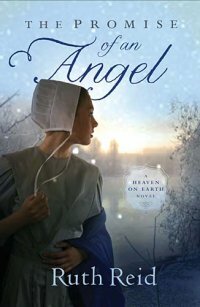 Rushing to Samuel’s aid, Judith spies a strange man helping him; a man she later believes was an angel. As her community slowly distances themselves, only one person is willing to stand up for her―the bishop’s son, Andrew Lapp. But can he convince the settlement to listen to her? With a show of faith that flies in the face of her conservative upbringing, can Judith hold strong to the promise that there are even greater things in store for those who believe in God’s miracles? This Amish was a little different than most I have read. Though I liked the idea of the angel, sometimes I lost the story when it went back and forth from the angel scenes to the rest of the story. And I really got irritated at Martha and Levi because they both acted like jerks, but then I guess that is the way some teenagers act, especially toward their families. I think my favorite character of them all was Andrew, the Bishop’s son. He was very caring, didn’t judge Judith, and wanted to shelter her from the hurtful things her long time love Levi was doing to hurt her. Overall this was a pretty good story and I would recommend it to anyone liking a good light read, and especially if you like Amish fiction. Two babies were born into the world on the day the Berlin Wall fell. One in America and one is Germany One family celebrating their baby Josh in the USA and the other family celebrating their baby Kati in Germany. The author takes us on a journey of Josh and Kati as they tell about their lives, their difficulties and struggles from an early age on. And as we read their stories, we can see a little of each of us as well. The author created wonderful and unique characters, making Josh and Kati feel so real that it seemed they were sitting beside us as they told about the choices they made in life. And like us, they made good and bad choices, but were able to work through them. I’m really not fond of books telling the story in the first person point of view. So it was a more difficult book for me to read, and I just couldn’t get into the book like I wanted to. But that is just my opinion, if you like this type, then you will love reading this book. And the book is lovely! The cover is very attractive, and I like the uneven edges of the pages. I was provided a copy of this book from the publisher through B & H Media to read and review. The opinions in this review are mine only. 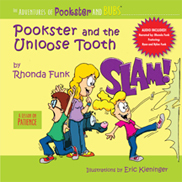 This is such a cute book about a child loosing teeth, and the importance of letting them fall out on their own. 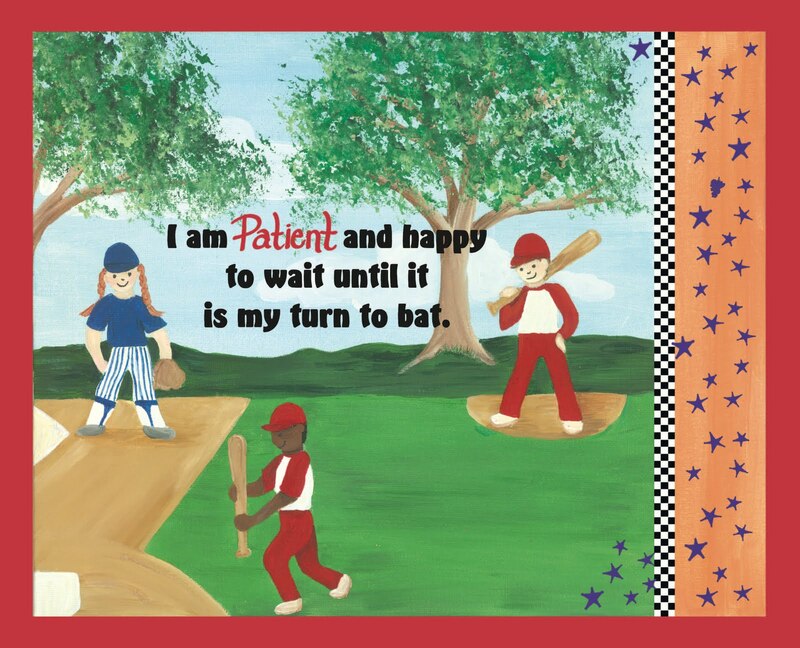 Being on a child’s level of learning, the young reader can identify losing a tooth with the need to be patient and wait on the Lord. This is a very well written little story and with the awesome comic pictures and fonts use, this makes a loveable teaching story that will surely capture the interest of any young reader. The words are clear enough that any child can understand them…and the pictures are great enough that children can understand the story through pictures. I really can’t say enough about this adorable book! I think you fill fall in love with it just as I did! And you even get a CD to go along with it. It just doesn’t get any better than this!! And this has nothing whatsoever to do with the books, except that this is the author singing a beautiful song. I just heard it for the first time today. Though you may want to play it while you are reading the reviews. Very powerful song! The funny comic pictures are just adorable, and the font just goes prefect with the story and the pictures. This book and the first one in the series is the sweetest and well put together books I’ve read for children. 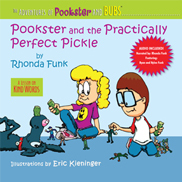 It is strikingly adorable….from the pictures to the font to the colors used to the story itself, you will just fall in love with Pookster and her family. And you get a CD to go with the book as well, and as I said before, it just doesn’t get any better than this! I think some questions most Christians are ask at some point in their life is; Is the Bible Reliable? Or How do you know the Bible is Reliable? And this DVD series answers those questions very well. These 10 very interesting and detailed bible sessions are well organized and easy to understand and follow. This is a wonderful Bible Study for all Christians, young and old in age and young and old in the Lord. A lot of the information on these DVD’s I have heard or studied before, but there was also a lot of new things for me in these studies as well. And the great thing about these DVD’s is having it all together in one study. And as a bonus, you get a copy of the Study book that goes along with the DVD’s. The book not only is awesome as far as the information in it, the colors are awesome, white with a shade of blue and brown that it just easy and pleasing to the eye. I highly recommend any young leader or church leader to check into this DVD Series. And since I will be keeping this as a family resource, I recommend this for any Christian family library as well. You can’t go wrong with this product. 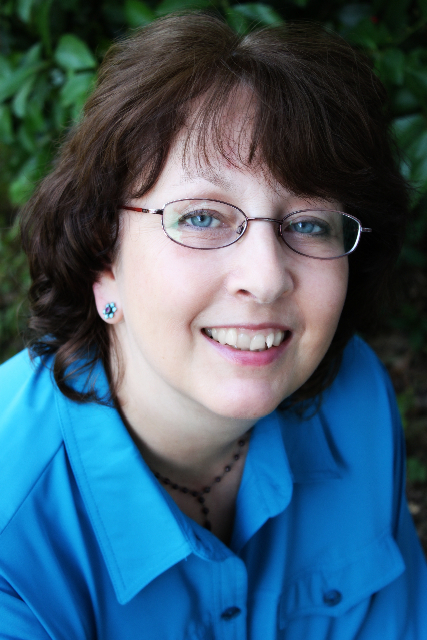 HI Everyone, I am so glad to be featuring K. Dawn Byrd and her new book Mistaken Identity on my blog today. 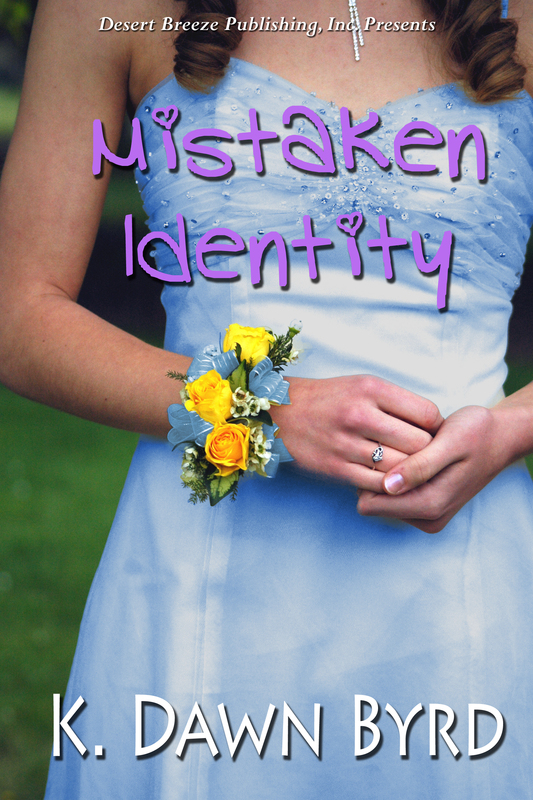 And she is giving away a gift card for a copy of her wonderful book Mistaken Identity this week. To win you MUST leave a comment AND your email address so I can contact you. Thanks much and I will let K. Dawn Byrd tell you a bit about herself and the book. Book blurb: Eden Morgan longs for a boyfriend of her own, an impossible goal when her best friend, Lexi Branson, gets all the attention and all the guys. When they fall in love with the same guy, Eden believes she doesn’t have a chance. She can only hope that sometimes the good girl gets the guy. 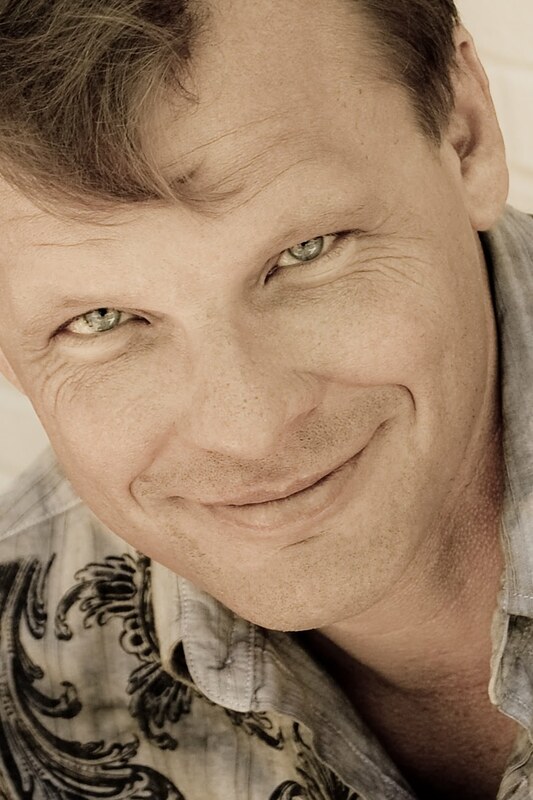 I had already published several book with Desert Breeze Publishing when they opened a young adult line. I’d been writing romantic suspense and thought it would fun to try my hand at a young adult novel. It was so much fun that I’m signing a contract for a young adult mystery series that will debut in January. 2) I love sour things….pickles, lemons, sour candy. 4)What are you working on now and what’s next for you? I’m also on Twitter (kdawnbyrd) and facebook (K Dawn Byrd.) I am the moderator of the Christian Fiction Gathering facebook group (http://www.facebook.com/#!/group.php?gid=128209963444) If youjoin this group, you’ll get reminders about the weekly book giveways. Best friends Eden Morgan and Lexi Branson are as different as day and night. Lexi can get any boyfriend she wants, and Eden longs for boyfriend of her own. As this story unfolds new neighbors move in next door to Eden’s family. And we have all heard about the ‘boy next door’ right? Well these new neighbors included that boy Channing, and wow was he ever drop dead gorgeous! He and Eden seemed to hit it off from the beginning, but the problem was that Lexi wanted him too. And what Lexi wants she gets. Mistaken Identity, a wonderful and sweet love story that anyone romance fan would like. And I would especially encourage any teenage young lady to read this book because dating is something they will all face at sometime. I loved the teen characters in this story; they made me feel as though I was watching this story in real life! Channing was just a sweet and hot guy that every girl at school had their eye on. The idea of having a Christian and non-Christian going for the same guy was cool. And it kept me wanting to finish the story to see just who Channing would pick, Eden or Lexi. It just all depended on what Channing was looking for in a girlfriend. Now you just need to read the book to find out who the winning woman turned out to be. I want to thank K. Dawn Byrd for providing me with a copy of this book to read and review. I was not expected or required to write a positive review. The opinions in this review are mine only. A big Thank You to everyone who participated and for all of the wonderful comments. If you haven’t read any of Dr. Mabry’s books, get copies and read them! I already know you are gonna love them as much as I do! And if you do read any of his books, go to some of the online bookstores such as Amazon, CBD Books-A-Million, Barns and Noble and leave a review to help promote his books. And drop him an email through his website and let him know what you think of his books. I know he will appreciate it! 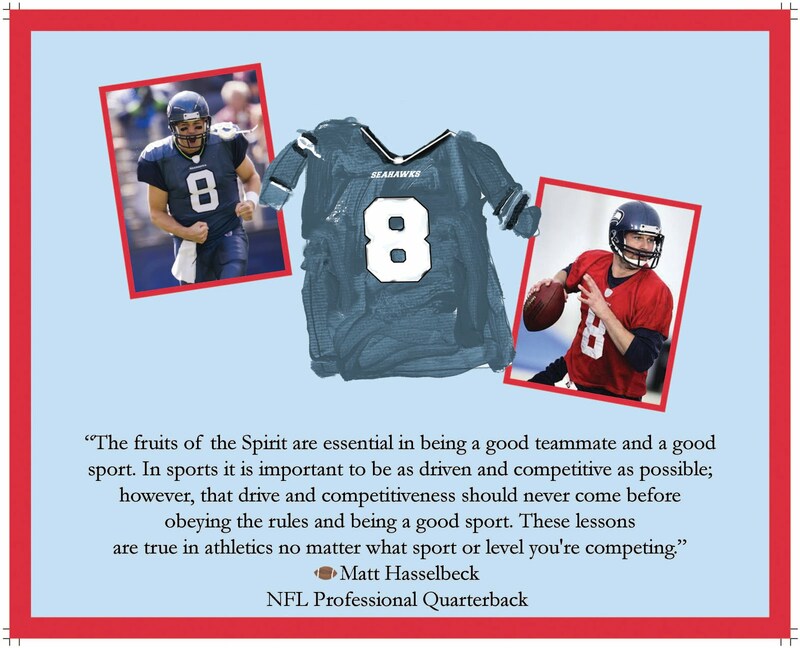 You can find out more about Dr. Mabry and his books HERE on his website. “Diagnosis Death” the third book in his Prescription for Trouble Series. Go Here to enter….and please leave your email address so I can contact you if you win! 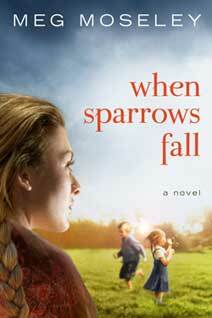 Also my new giveaway is a copy of Meg Moseley’s “When Sparrows Fall” . 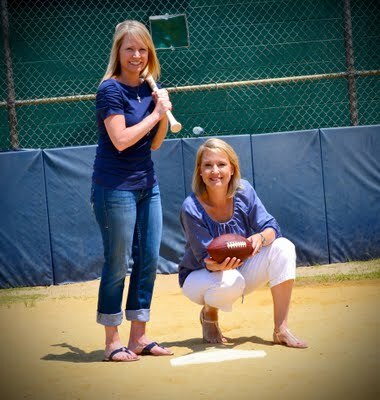 Go Here for on interview with Meg and be sure to see the question Meg asks you bloggers. You MUST answer the question for a chance at winning the book. 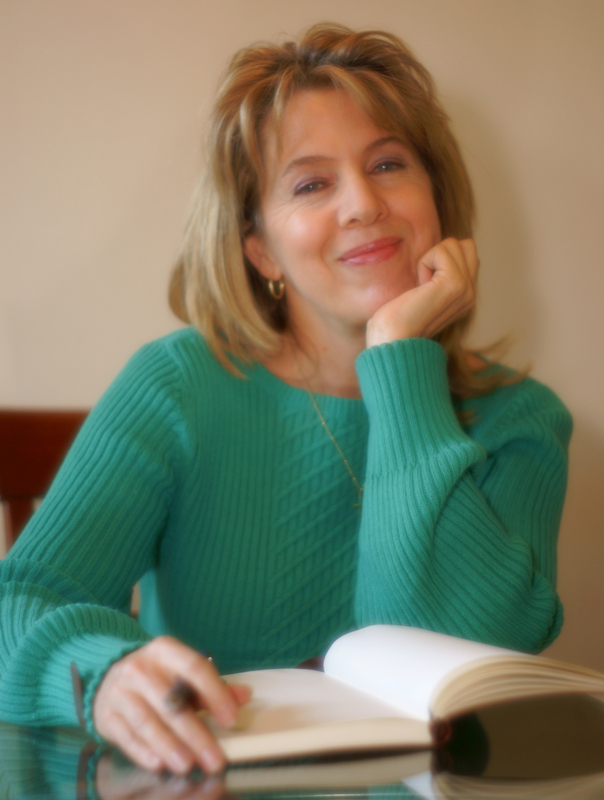 Hello bloggers, I am so happy today to have Meg Moseley her with us today. 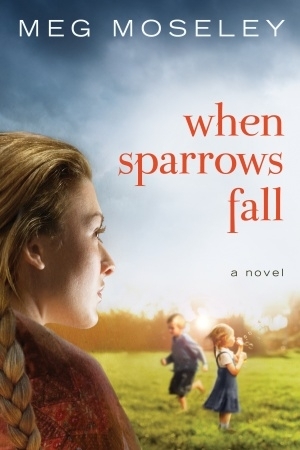 Meg’s debut novel “When Sparrows Fall” just came out and Meg is giving away one of her books to one blessed blogger this week. You will need to answer Meg’s questions in the interview to qualify for winning. And I want to thank Meg for taking time out of her busy schedule to be with us. Now for the interview. Hello Meg, it’s great to have you on my blog today. Thank you so much for being here. Tell us a bit about yourself. Thanks for having me, Joy! Well, I’m a California girl, married to a Michigan man and living near Atlanta. Our three children are grown and we’re nearly empty-nesters. I love cats, gardening, motorcycles, the Detroit Red Wings, public libraries, poetry, coffee, and almost any form of chocolate. Wow you sound like a busy lady Meg. I’m an empty-nester too but my son lives close by and I see him a lot. Still not like having them at home. We are very happy you find time to write in the mist of your busy schedule. I’ve been writing something from the time I learned to spell, but I didn’t try writing a novel until about fourteen years ago. I didn’t have a clue about how to go about it. That miserable first attempt will never see the light of day. I promise. After reading your debut novel ‘When Sparrows Fall’ I can’t imagine it not being a good book! My favorite part so far has been working with an editor. From the macro-edits to the picky details, I love the process of making a story better. I want to learn as I go, so I’ll improve my writing as I move on to new stories. Editing has always been an interest to me. I keep wondering what the story was like before the edits. I think it would be interesting to read the before and after. This is a wonderful scripture, and thanks for sharing that with us today. I wonder sometimes why we seem to often forget that do have freedom in Christ and we can stand firm in Him. Thank you for sharing this Meg. How do you find characters for your books? Are they influenced by family and friends? I don’t think I’ve ever knowingly based a character on a real person, although some of them are a conglomeration of bits and pieces of real people. I often start with a vague, murky idea that gradually becomes a “real” person as I play with details and try out different names. The characters in you book are so real and believable, it is amazing how you created them to seem that real, and they blend together in the story so well. I grew up listening to opera, and I still enjoy it in small doses. I’m a Larry Norman fan. He wrote amazing lyrics. When I lived in Alabama, I slept through a hurricane on purpose. I figured somebody should be rested for the cleanup the next day. I can’t swim worth beans. Wow, I always like these questions…. thanks for sharing these bits of information about your life. I can relate to the swim one, not matter how I tried, I couldn’t seem to get it, even though I love to go swimming, I don’t let it go over my head! I’m hoping for a release in the summer of 2012. I, for one will be looking forward to next summer, and I know a lot of others will as well. You really have tons of fans out there. We thank you for entertaining us through your writing. I’m working on a novel about a young woman who lost her father to a deep mountain lake when she was a teenager, but his body was never found. Now it seems that he faked his drowning and ran to the wilderness. As she and her longtime friends search for answers, they uncover memories of a mysterious event in their childhood that may explain everything. Ok mysteries are some of my favorite books. I hope this is your new book you are talking about.I your next book. Only now I really can hardly wait! At www.megmoseley.com and on Facebook. I’m trying to figure out Twitter too, but I’m a bit of a techno-klutz so wish me luck. LOL It too me a few years on Twitter but now that I am active, I love it. There is so much information you can get from Twitter, and you don’t have to answer back so it doesn’t take so much of your time. I just want to thank you for being such an enthusiastic ambassador for fiction. Readers like you bring untold joy to the heart of a novelist. When you pick up a novel, what will make you put it down without finishing it? Ok readers, here is the question you need to answer when you enter for the drawing to win Meg’s debut book “When Sparrows Fall.” And make sure you leave your email so I will know how to get in touch with you. And go to Facebook and to Meg’s website and support her with her first book. Thanks to all of you readers for stopping by. 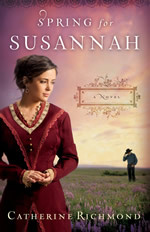 Welcome to the blog tour for Catherine Richmond’s Spring for Susannah! When her parents die suddenly, and no suitors call, Susannah resigns herself to the only option available: becoming a mail-order bride. Agreeing to marry her pastor’s brother, Jesse, Susannah leaves the only home she’s ever known for the untamed frontier of the Dakota Territory . She looks to the future with a renewed heart. Yet in her wildest dreams, she couldn’t predict all that awaits her. After Susannah’s parents passed away, leaving her with no money and no I income and she just needed to get away, move to somewhere different. That’s when her pastor hooks her up with his brother Jesse. Jesse had moved to the Dakota Territory to claim land for his farm, so the two of them wrote letters for a while, and later, Susannah became his mail-order-bride. Jesse was different than any many Susannah had ever been around. He was loving, loyal, a hard worker, and wanted to provide for his new bride. He loved the Lord, was faithful to Him, and trusted Him for what happened in his life. Having always loved mail-order bride stories, I was excited to read and review this wonderful debut novel from Catherine Palmer. I really enjoyed the story up until the point of Jesse’s surprising twist in the story, and from then on, I had a difficult time following the plot. The change in the plot just seemed out of place or something, just felt like something was missing. And I didn’t care for the ending, with Jesse’s return and then boom it was over, leaving a lot of loose ends and questions and confusion. It really needs a second book make it more complete. I was provided a copy of this book by the publisher through Litfuse Publicity Group to review for the Litfuse blog tour. I was not required or expected to write a positive review. The opinions in this review are my honest opinions. 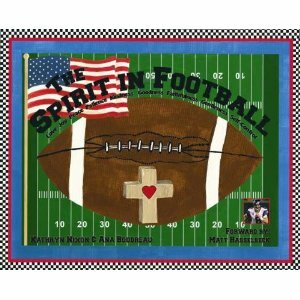 This is a book of children praying to God about things in their life. Some of the things they are praying to God about is fear, sadness, making the right choices, forgiveness, being alone, helping people, and their future. I like that this book is teaching the young reader that God is in Heaven and they can pray to Him about anything at anytime and He can her them. 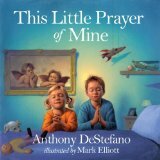 The pictures are beautiful, the cover is beautiful, inviting any child to pick up the book to pray. I did not care for the last page where the child is asking God again to continue to love him and love him forever. Isn’t what God does anyway? He loves us no matter what, and a child doesn’t need to feel like God will stop loving him at some point. It’s just not the truth. 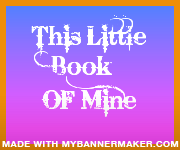 If the gospel had been included in this little prayer book, it would be perfect. Now back to the contest. All you have to do is read the excerpt below then go to my WEBSITE and answer the following question. That’s it. You’re entered to win. If you’d like to sign up for my mailing list to learn of other contests in the future you can do that at the same time, too. Full contest rules are on the entry page. Remember only one entry per person. QUESTION: How many gunshots to the chest did Carl Dixon suffer? “So you want to play it that way, do you Deputy? Fine. Just remember, you can run, but you can’t hide. I will find you. This will be resolved one way or another.” His disembodied laugh swirled into the night. Lord, please don’t let me die like this. Give me the strength to move. I need to live for Nikki. She’s only seventeen. She has no one. “Relax Sydney, it’s Russ Morgan,” Logan Lake’s Police Chief whispered, his lips close to her ear. “You okay?” he asked, his breath stirring her hair. “I left my duty belt in my car.” She waited for his reaction to not carrying, but he simply gave a quick nod as footfalls grated against gravel. “Shh, he’s about to pass us.” Russ leaned forward and drew his gun with his free hand, but didn’t release his hold on her. “Can you feel me breathing down your neck, Deputy? I’m inches from finding you.” He didn’t know the accuracy of his words. She felt Russ’s breathing speed up, upping her concern and washing away the brief blanket of security his arms provided. Adrenaline urged her to move. To keep from panicking, she focused on Russ’s unwavering weapon. As his footsteps receded, she tried to relax taut muscles. The warmth from Russ’s body helped chase out her fear and the chill of the night. Thank God Russ was here. If he hadn’t come. She refused to go there. God had watched over her. Provided rescue, just not in the form she’d have chosen. 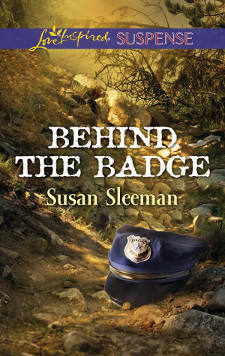 Not only was Russ an officer from the city police force-a team often in competition with the county sheriff’s department where she worked-but a man she’d had a crazy crush on in high school. A man whose rugged good looks still turned women’s heads. She wanted to protest and suggest they flee now, but not Russ. He thought clearly. Taking off now gave the killer the advantage of higher ground, making them moving targets. They’d have to sit like this until he passed them again. If they made it out of here, which the approaching footfalls told her wasn’t at all certain. They pounded closer. The shooter moved at a quick clip this time as if he thought she’d gotten away and he was fleeing. Or maybe he was heading to her car to lay in wait for her. As the footsteps receded again, she felt Russ’s arm slacken. “You have a backup?” He referred to a back up gun officers often carry. “Then wait here.” He gave her the hard stare that’d made him famous around town and crept toward the path. She leaned against the boulder and wrapped her arms around the warm circle on her waist where he’d held her. Without his warmth, she couldn’t quit shaking. The reality of the night froze her inner core. Not for everyone, but for an officer of the law, letting a shooter escape without trying to stop him wasn’t an option. Even if that shooter had her in his sights, she’d make her way to her car for her gun and help Russ stop this maniac before he hurt anyone else. Near the ditch, Russ came to a stop and fought to catch his breath. Taillights on a mud splattered dirt bike roared up the trail. He’d warned the suspect to stop, but short of shooting him in the back, Russ couldn’t stop him from fleeing into the dark. At least he’d accomplished his primary objective. To protect Sydney and keep her alive. Now he needed to alert his men and the sheriff’s office to the suspect’s whereabouts. He lifted his shoulder mic and ordered a unit from his office to stake out the end of the trail for the motorcycle and an ambulance in case Dixon survived. Then he asked dispatch to patch him through to the county sheriff’s department to make sure they knew he’d taken charge of the scene so none of their hotshot deputies arrived with the hope of usurping control. He turned on his Maglight and headed up the hill. The beam of light skipped over gravel and lush plants lining the winding path. Midway up, rustling brush stopped him cold. He’d left Sydney higher up. Nearer the lake. Maybe it was Sydney. The Sydney he used to know wouldn’t have listened to his directive and stayed put. She’d trounce down the hill, her chin tilted at the same insolent angle as when he told her he didn’t return her crazy crush her freshman year of high school. Not that he’d wanted to send a beautiful, lively girl like her away. He could easily have dated her, but he was four years older, in college. With their age difference, it wouldn’t have been right. Bushes at the path’s edge shook then parted. Slowly, like a sleek panther, Sydney slipped out. He watched until she stood tall on those incredibly long legs he’d admired since she was sixteen before lowering his gun and aiming his flashlight at her. She jumped. Peered up at him, an impudent look planted on her face. This was the Sydney he’d known as a teen and heaven help him, in less than thirty minutes, she’d sparked his interest again. “Care to shine that somewhere other than my face.” She perched her hand over her eyes, warding off the glare. He moved the light but not before he caught a good look at a gaping wound running from her hairline to eyebrow, covered in congealed blood. He lifted his hand to check out her injury, but stopped. He wouldn’t probe a wound on one of his men’s faces. As a fellow LEO-law enforcement officer-he wouldn’t treat Sydney any differently. “I told you to stay put.” He infused his words with authority. “I wanted to help. Wish I’d listened. I tripped over the body.” She held out blood-covered hands. Her eyes watered as if she might cry. Man. Don’t do that. Don’t fall apart. He couldn’t remain detached if she started crying. He’d have to empathize, maybe give her a reassuring pat on the arm. Maybe feel her pain and resurrect all the reasons he’d left his homicide job in Portland. Diffused rays slid over a young male lying on his back. Russ swung the beam to the man’s face landing on open eyes staring into the blackness above. Sydney gasped and swung around him. She rushed toward the main path. Even though Russ knew it was a lost cause, he bent down to check for a pulse. No question, this man hadn’t made it and no question about his identity. Carl Dixon, a man every LEO in the area knew from his frequent blips onto the police radar and the most recent arrest for selling drugs. All that ended with three gunshots to the chest at close range from what Russ could see with his flashlight. Once they thoroughly processed the scene, he’d know better. But first, they needed to vacate the area before further contaminating the scene. He found Sydney near the path, gaze fixed in the distance, hands clasped on her hips and exhaling long breaths as if trying to expel what she’d just seen. He gave her the flashlight and urged her to take the lead down the steep hill. Once on solid concrete, she handed it back to him. Holding it overhead, he watched her closely for dizziness or other impairments from her fall. He saw nothing out of the ordinary, but a head injury could mean a concussion. He’d have the EMT’s check her out when they got here. “I’m fine ” Her voice cracked and she seemed embarrassed over reacting to the murder. Orphaned when she was a young child, most of her inheritance taken by her caretaker, and a horrible experience on the way to her aunt and uncle’s, life hasn’t been easy for Rose McGuire. She has lived at the farm for 5 years now, and loves farm life, and she makes the farm animals her pets. Being in midst of the war of 1812, it is not always safe being alone on the farm. British soldiers could attack at any time, and this is just what happened to Rose this one day in their family barn. Although Alexander Reed was there and saved her life, he was seriously wounded during the attack, so Rose had no choice except to hid him and nurse him back to health. Rose started feeling an attraction to Alex as she helped him, but then she hated him at the same. Alexander Reed was a British 2nd Lieutenant and had no idea he would have to defend a young woman from his superior 1st Lieutenant Mr. Garrick, but he had no choice, it was either Garrick or the woman. Now he was here, in the enemy’s barn, the woman having removed a bullet from his leg, facing death if he was found. Yet as the story unfolds, he was later forced to be hired by Roses family as farm help, and he grew attached to the love and family he never had. And Rose was a huge attraction as well, that just kept growing. 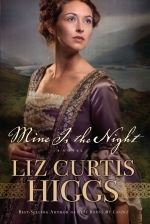 Surrender the Night, with the historical setting in the war of 1812 was filled with love, forgiveness, family, war, hate, romance, suspense, and patriotism all blended with a cast of characters that pull you into the story and make you feel as though you are right there with them. This is my first book to read of Mary Tyndall’s; I can’t believe I haven’t found her books before now!! My heart went out to Alex, as he was trying to choose between a family that disowned him because he wasn’t good enough in their sight and Rose, a young woman he loved and adored, with a family that treated him like one of their own. And Rose’s grandfather was a great humble, wise gentleman, full of love, wisdom and knowledge for anyone that needed it. He was just a sweetheart! And I love how the author uses these characters to show that God is with us in each situation we face, even when we cannot feel his presence. And God can and will work each detail of our lives for our good and His glory. Just as Alex and Rose were at the right place at the right time, it is the same with our daily lives. 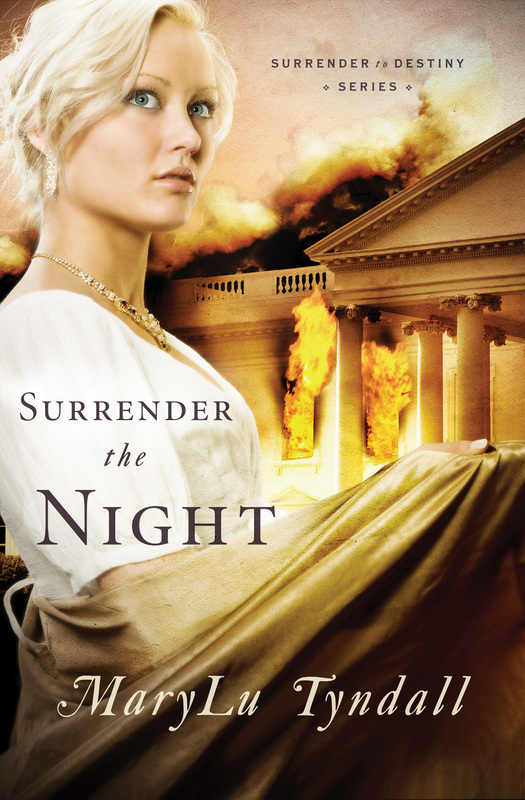 If you are a history buff and like historical fiction, run out and buy a copy of Surrender the Night by MaryLu Tyndall. You will not be disappointed. It will be well worth your read! After reading Here Burns My Candle, I just had to finish the story with Mine is the Night. To me, I liked this book much better. I enjoyed reading the glorious ending to a wonderful story as it follows the lives of Marjory and Elizabeth Kerr. The mother-in-law, daughter-in-law pair finally makes their way to Marjory’s cousin Anne’s in Selkirk, but Gibson should already be there but he hasn’t shown up, causing the two ladies to worry about him, and it seems no one else has seen him. Living was to be entirely different, with Marjory, Elizabeth and Anne now living in a one room apartment. Anne and Elizabeth had to struggle making the money to survive, leaving Marjory to do the cooking, which was interesting since she was the one that hired help to cook for her. Living by Faith and trusting the Lord was the only thing left to do. They had nothing, no money, home, husbands to take care of them, they had to make it on their own. It was heartwarming to see the turnaround personality change in Marjory during this time, from the very wealthy to the very poorest of circumstances. She dealt with the change well, being willing to learn to cook and keep the one room house herself while the others worked. Elizabeth is a lady we all want to be like. Her love and care of her mother-in-law Marjory was unbelievable. And God did guide every step of their life, leading Elizabeth into a job as seamstress for the retired and very wealthy Admiral Jack Buchanan. Buchanan is not like most wealthy men, he really cares for his workers, and is especially attracted to Elizabeth, who was still wearing her black, mourning the death of her husband. But what about the 12 month mourning period? Does she really have to wait the entire twelve months? And then there is a twist to the story that makes the story even more interesting as an unexpected visitor/worker comes to town. 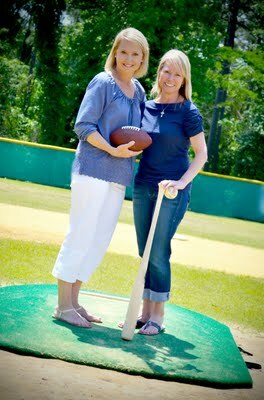 As the story keeps unfolding, and finally comes to an amazing end, the reader will witness a heartwarming account of redemption and restoration that these ladies never imagined. Truly God loved them and was watching over them the entire time. What he had in store for the Kerr ladies was truly exceedingly, abundantly above everything they could have ask or even thought about. And to have it all take place in a Scottish setting was the icing on the cake! To feel the country of Scotland, the food, cloths, people, atmosphere, and beauty was breathtaking. This was Liz Curtis Higgs at her best! I recommend this book to anyone liking a good historical fiction playing out a story in Bible times. 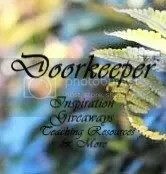 I received this book free from Waterbrook Multnomah blogging for books program. I was not required to write a positive review. The opinions I have expressed are my own. I am disclosing this in accordance with the Federal Trade Commission’s 16 CFR, Part 55. In her best-selling series of Bad Girls of the Bible books, workbooks, and videos, Liz Curtis Higgs breathes new life into ancient tales about the most infamous—and intriguing—women in scriptural history, from Jezebel to Mary Magdalene. Biblically sound and cutting-edge fresh, these popular titles have helped more than one million women around the world experience God’s grace anew. Her best-selling historical novels, which transport the stories of Rebekah, Leah, Rachel, Dinah, Naomi, and Ruth to eighteenth-century Scotland, have also helped her readers view these familiar characters in a new light. And her nonfiction book, Embrace Grace, winner of a 2007 Retailers Choice Award, presents her message of hope in an engaging and personal way, speaking directly to the hearts of her readers. South Africa, Indonesia, Germany, France, England, Canada, Thailand, Ecuador, Scotland, Portugal, and New Zealand. In 1995, she received the Council of Peers Award for Excellence from the National Speakers Association, becoming one of only 35 women in the world named to their CPAE-Speaker Hall of Fame. 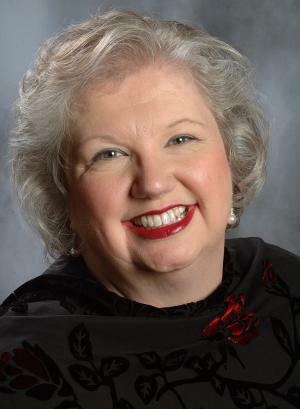 Her alma mater, Bellarmine University, presented her with a Distinguished Alumni Award in 2005, and she received an Honorary Doctorate from Georgetown College in 2010.